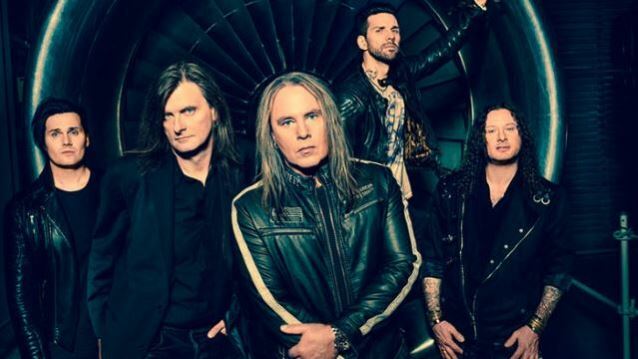 In celebration of the band's 30th anniversary, German power metallers HELLOWEEN will release their first-ever book on October 31. "Hellbook" is described as a "HELLOWEEN bible" which is guaranteed to become a sought-after fan item as well as the only official reference book to date. HELLOWEEN bassist Markus Grosskopf recently stated about "Hellbook": "For us, this book is highly emotional and evokes a thousand memories. Good moments as well as not-so-good ones are captured here. Thirty years of HELLOWEEN on almost 500 pages — and no end in sight..."
A "Hellbook" preview is available at this location.